The Millennium Development Goals (MDGs) have officially expired this year and a new era in development with a new set of Sustainable Development Goals (SDGs) was launched in New York from the 25th to 27th of September at the ‘United Nations summit for the adoption of the post-2015 development agenda’. The SDGs represent a change in thinking about development and transformation, addressing a broader set of issues and shared responsibility between public, private, and civil society organisations. They (the SDGs) are the result of a negotiation process that involved the 193 UN member states and also unprecedented participation of civil society and other stakeholders, which led to the representation of a wide range of interests and perspectives. At the summit, where the SDGs were signed off by 193 countries, the UN Secretary General, Ban Ki-moon, underlined the importance of implementation as a show of commitment to the goals, the need for partnership and solidarity in ensuring the success of the goals, and expressed the commitment of the United Nations in providing the necessary support to Member States. The adoption ceremony was presided over by Danish Prime Minister Lars Løkke Rasmussen and Ugandan President Yoweri Kaguta Museveni, who stressed the successes of the MDGSs and the need for the full implementation of the new Agenda. This new agenda will guide national and international jurisdictions, shape investment policies, revise national and international data collection, and drive actions on a range of sustainability issues over the next decade. 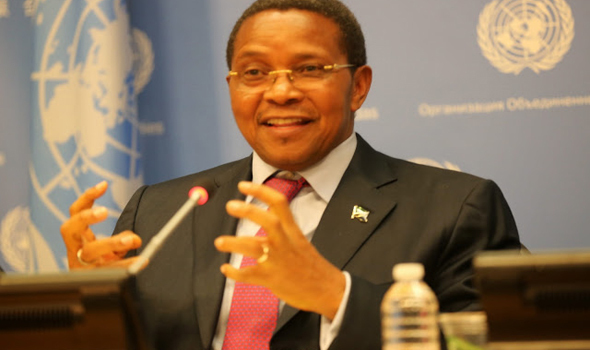 In his address to the UN General Assembly, H. E. Kikwete expressed concern over the incompletion of the Millennium Development Goals and the unknown outcomes of targets, emphasising that although the new Agenda had taken on the unfinished business of the Millennium Development Goals, time and money were needed to achieve it. The lack of financial resources had been the greatest hindrance to enacting all the Millennium Development Goals. Funding concerns have been addressed in the outline of each of the new Goals, and each country must mobilise domestic resources for achieving the Goals, but developing countries cannot do so alone. International funding will be needed to complement countries’ own capabilities and a global partnership is necessary to ensure follow-up and review. As part of Tanzania’s commitment to Sustainable Development, the Government of Tanzania established the Institute of African Leadership for Sustainable Development (UONGOZI Institute) with the support of the Government of Finland in 2010. UONGOZI Institute works to inspire and equip leaders in Africa to deliver sustainable solutions to the challenges facing the continent, and to live up to their individual and collective potential to lead the transformation of Africa’s economies and societies. To date, UONGOZI Institute has already engaged in various activities that are aligned with the Sustainable Development Goals in both its capacity building and research and policy work. These are, broadly; Urbanisation (Goal 11), Sustainable Agriculture (Goal 2) in partnership with the Southern Agriculture Growth Corridor of Tanzania, Forestry (Goal 17), meeting energy needs sustainably (Goal 7), Natural resources management (focussing on the Mining, and Gas Sectors), Financial Inclusion for Women (Goal 5 and 16), Green Growth (Goal 8, 9, 10, 13, and 14). UONGOZI Institute stands ready to support African governments in meeting their Sustainable Development Goals targets, both in terms of the research and monitoring work required on the ground, and capacity building to ensure decision-makers are inspired and equipped to live up to their collective and individual leadership potential. This goal is a more specific spin-off of the first Millennium Development Goal (MDG), which called for an end to extreme hunger. As with SDG One, this goal is meant to be more all encompassing in its approach to hunger than the MDG by including concepts such as food security and nutrition and removing the word “extreme”. This is an effort to acknowledge that even developed countries face issues of hunger and malnutrition. The most recent data from the Food and Agriculture Organization (FAO) indicates that 20.5% of Africa’s population is undernourished. Although the prevalence of undernourishment has declined in recent years, from 33.3 percent in 1990-92 to 23.8 percent in 2012-14 in sub-Saharan Africa, the region has also made the least progress where more than one in four people remain undernourished. A particularly interesting portion of this goal is its focus on sustainable agriculture, which presents itself as a solution to the problem at the beginning of the goal: hunger, food security, and nutrition. 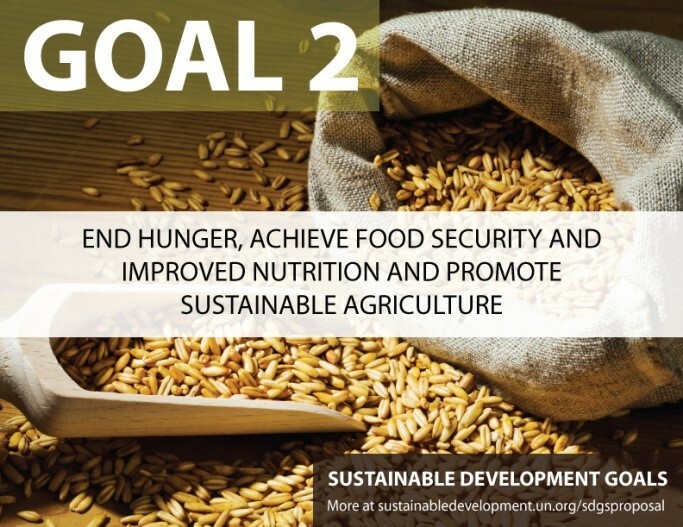 It is actually the most emphasized part of the goal in terms of dedicated targets, with 2.3, 2.4, 2.5, 2.a, and 2.b all directly addressing agriculture (see all proposed targets below). This emphasis on agriculture is important for Africa, as according to the Africa Economic Outlook Report 2015, the agricultural sector employs the majority of sub-Saharan Africa’s labour force. As in many other developing countries, this implies that this goal is likely to have an impact on a very large cross-section of the population. Last month, I attended the African Leadership Forum in the Tanzanian capital of Dar es Salaam on the theme of “Moving Towards An Integrated Africa.” The meeting was hosted by former Tanzanian president Benjamin Mkapa’s Uongozi Institute, and attended by former presidents Olusegun Obasanjo (Nigeria), Festus Mogae (Botswana), Jerry Rawlings (Ghana), Bakili Muluzi (Malawi), and Hifikepunye Pohamba (Namibia). The Executive Secretaries of the Southern African Development Community (SADC) and the East African Community (EAC) were also present, as were invited civil society actors. Delivering the keynote address was Ugandan president, Yoweri Museveni, who has long fancied himself as a “Bismarck of East Africa”, with dreams of creating a political federation in a subregion consisting also of Kenya, Tanzania, Burundi, and Rwanda. These aspirations were reflected in his address which pushed for a larger regional market in East Africa to increase the leverage of the subregion to negotiate more effectively with external actors. Citing the high level of cultural integration in the subregion – reinforced by the common lingua franca of Swahili – he called for a political union, noting that for such efforts to succeed, East African leaders would need to explain to their 140 million citizens how regional integration could directly enhance their prosperity and security. Contradicting his reputation as a brash, arrogant, no-nonsense former General, Obasanjo came across in his interventions as wise, witty, and adept at using first-hand experiences to illustrate his points. He called for a core group of African leaders to drive regional integration in Africa, much as Nigeria, South Africa, Algeria, and Senegal had done in creating the New Partnership for Africa’s Development (NEPAD) during his own presidential tenure. He pushed for the abolishing of visas to facilitate the free movement of Africa’s one billion citizens; advocated the improvement of infrastructure and communications; criticised African leaders for talking regional integration while planning on a national basis; and condemned the negative role that external actors have played in sabotaging regional integration efforts in Africa, specifically citing France’s role in West Africa. Obasanjo went on to praise the efforts of the Economic Community of West African States (ECOWAS) to promote the free movement of its 340 million citizens: 68% of West Africa’s international migrants remain in the subregion, enjoying one of the world’s most impressive mobility rates. Obasanjo, however, condemned Nigeria’s expulsion of three million West Africans – declared “illegal aliens” – between 1983 and 1985, as having contradicted Africa’s culture of hospitality. He criticised African governments for rejecting the ideas of an African Union (AU) committee that he had headed, which had recommended that continental leaders raise $750 million to fund their organisation through such schemes as hotel levies and airline taxes. He noted that the lack of sacrifices by African governments was clearly evident in the fact that 80% of the AU’s operating budget was covered by external donors, while AU member states that could afford their dues often failed to keep their accounts current. Some of the challenges within the Southern African Development Community (SADC) were also discussed: the failure to work more closely with the private sector; lack of effective coordination between national committees and the Botswana-based SADC secretariat; the need for the SADC secretariat to be empowered to make binding decisions; and obstacles to the free movement of Southern Africa’s 231 million citizens, with recent xenophobic attacks in South Africa on SADC and other citizens being widely condemned. It was also observed that some SADC leaders viewed efforts to secure alternative sources of funding from regional sources as an encroachment on their sovereignty. As with the AU and other subregional bodies, the lack of sufficient time devoted to issues of regional integration at SADC summits was criticised. Some of the organisation’s plans were also said to reflect efforts at political alchemy. For example, a free trade area was launched in 2008 that represented more of a political statement than economic reality, as no rules of origin have ever been defined. The East African Community was, in contrast, praised for its success at increasing intra-regional trade (by 16% from 2005 to 2010). It was, however, noted that though the organisation has had a customs union since 2005, a disproportionate amount of its time has been spent on removing barriers to trade against the private sector. More positively, some innovations have been crafted such as Rwandan customs officials being deployed to clear goods at the port of Dar es Salaam. With intra-regional trade a derisory 12% on the continent, it was noted that Africans needed to change their mind-sets in order to succeed in their efforts to achieve regional integration. The phenomenon of African countries creating regional organisations with similar goals and overlapping memberships was criticised as inefficient and profligate. Several African regional bodies also lack constitutions and legal frameworks that define their rules, while there are often no independent mechanisms for monitoring the implementation of their activities. A need was thus strongly expressed for a clear division of labour between the AU and subregional bodies, and the use of innovative schemes such as the ECOWAS community levy to fund these organisations. It was further noted that many African leaders are too preoccupied with political survival at home to prioritise economic integration abroad. These rulers, however, need to act more like economic technicians than politicians. As Botswana’s Festus Mogae – himself an Oxford-trained economist – noted, African leaders have not engaged enough with each other to discuss removing obstacles to regional integration. Africa no longer needs continued negotiations, but the urgent implementation of existing plans. 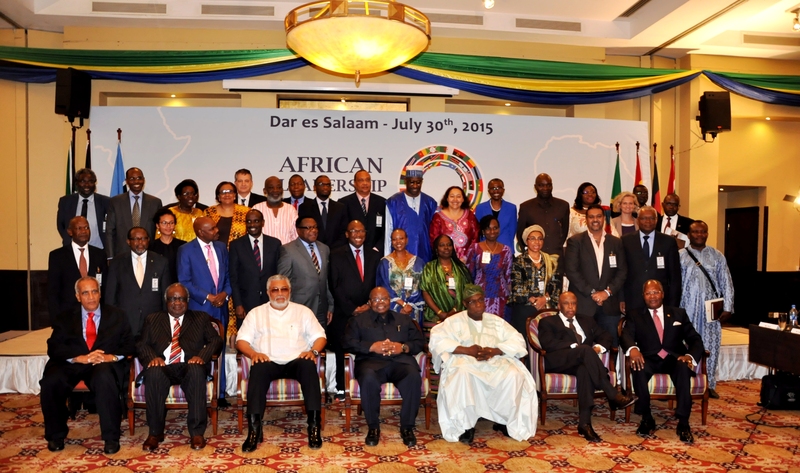 There were calls for a “two-speed” Africa and an “inner core” to drive regional integration. The role of regional hegemons – Nigeria, South Africa, and Kenya – was also highlighted as potential catalysts for integration in need of credible visions that require carrying greater burdens, and even sometimes incurring short-term losses. Finally, it was noted that Africa is often ill-prepared for most trade and other negotiations. The continent is rarely at the top table of global institutions such as the United Nations (UN), the World Bank, the International Monetary Fund (IMF), and the World Trade Organisation (WTO), but often on the margins. Africa often has plans, but no implementation strategy. Its power in these global institutions is often fragmented, and its voice therefore diluted. African representation on these multilateral bodies is often weak. There were thus calls to tap into the African Diaspora which now contributes $60 billion annually to its home countries: more than the continent receives in foreign aid. Small and medium-sized enterprises are to be strongly supported. Young entrepreneurs should be encouraged to continue to drive change on their continent. Regional infrastructure projects increased, and the same spirit and determination which won the battle for the political decolonisation of Africa must be employed in the current struggle for its socio-economic decolonisation. Dr. Adebajo is Executive Director of the Centre for Conflict Resolution, Cape Town, South Africa, and a Visiting Professor at the University of Johannesburg. Dr. Adekeye Adebajo is a Nigerian Rhodes Scholar and the current Executive Director of the Centre for Conflict Resolution in Cape Town, South Africa. Dr. Adebajo is a leading authority on Africa’s international relations and security issues. 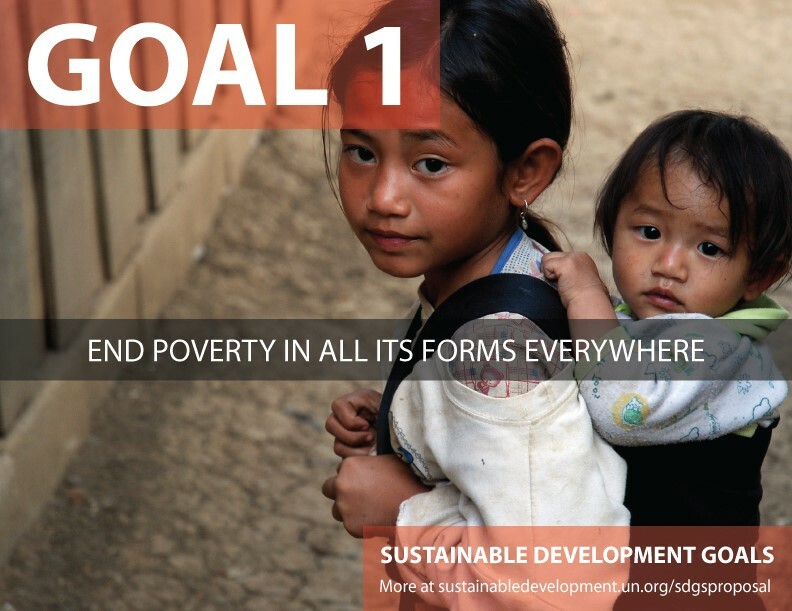 The first goal of the SDGs broadly addresses the issue of poverty, moving away from the more specific language of the MDGs, which only targeted “extreme poverty.” The intention was to make the goal applicable to all countries, including developed countries, by addressing all different types of poverty rather than just focusing on those individuals living on less than $1.25 a day. For Africa, there is still work to be done in terms of achieving this goal. Despite advances throughout the course of the MDGs, Africa remains as the poorest continent in the world, with 46.8% of the population in Sub-Saharan Africa living under the poverty line according to World Bank statistics from 2012. Aside from dealing directly with poverty, this goal also focuses on social protection and equal access to economic resources to help protect those in the population who are poor or vulnerable (see proposed targets below). In Tanzania, for example, this refers to policies such as the National Social Security Fund and would require working to ensure such schemes are reaching a wide range of the population with adequate resources. This first goal also refers to other issues of inclusion and resilience, especially for the poor, making it a centrepiece of sorts for all the SDGs. Note: In simplified terms, 1.1 – 1.5 are the targets set to achieve the goal, 1.a-1.b is what needs to be done in order to be able to achieve these targets. The Common African Position is the product of the High-Level Committee of African Heads of State and Government established at the African Union Summit in 2013 to identify Africa’s priorities, and a common position for Africa, for the post-2015 Development Agenda. This was achieved by taking into account information collected from national and regional stakeholders, African multilateral institutions and selected pertinent UN organizations and agencies. This was published in 2014.